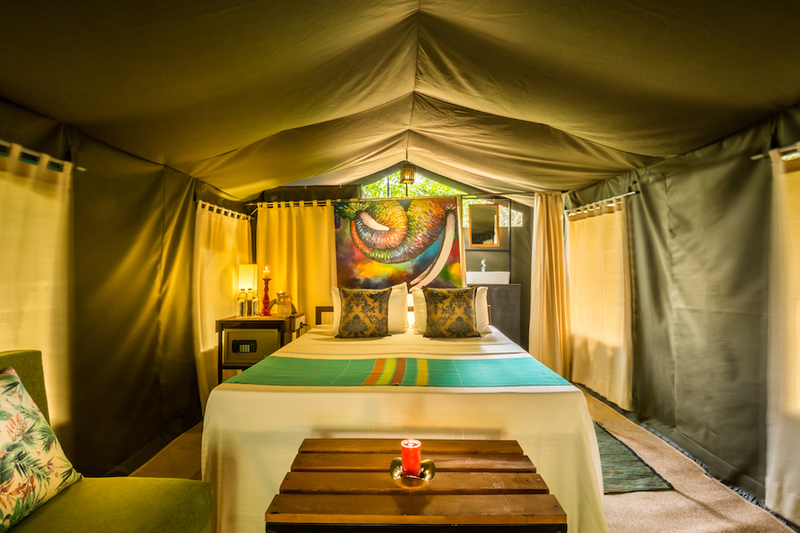 MAHOORA TENTED SAFARI CAMPS provides spacious tented accommodation. They are divided into two categories as MAHOORA ELITE & MAHOORA PREMIUM. MAHOORA ELITE is set with a touch of luxury, providing more space for guests who prefer comfort during their stay. 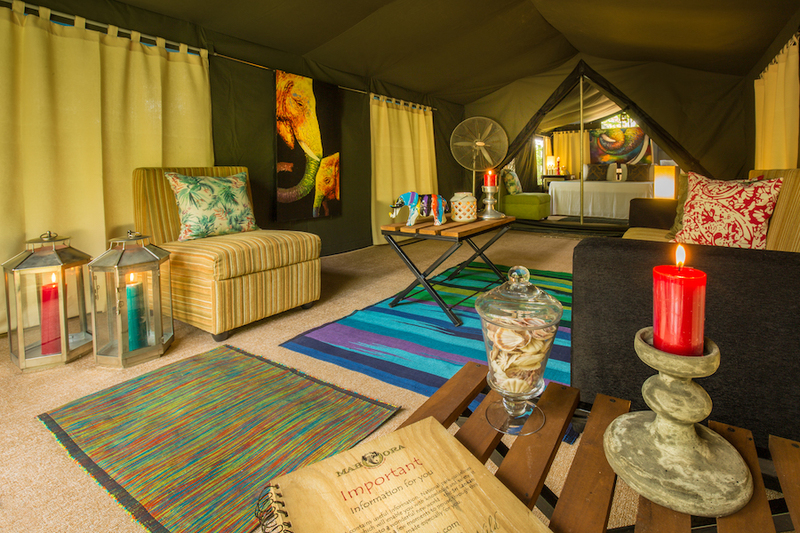 The spacious tent (32’x10.8’) is equipped with a bedroom, living area, and an en-suite bathroom. There is a small veranda area just outside the tent. The whole tent, including the washroom, is carpeted wall-to-wall. The windows are covered with attractive curtains. MAHOORA PREMIUM is preferred by guests who are looking for satisfying comfort with nature. The tent (16’x10.8’) is equipped with a bedroom and an en-suite bathroom along with a private veranda/porch outside the tent. 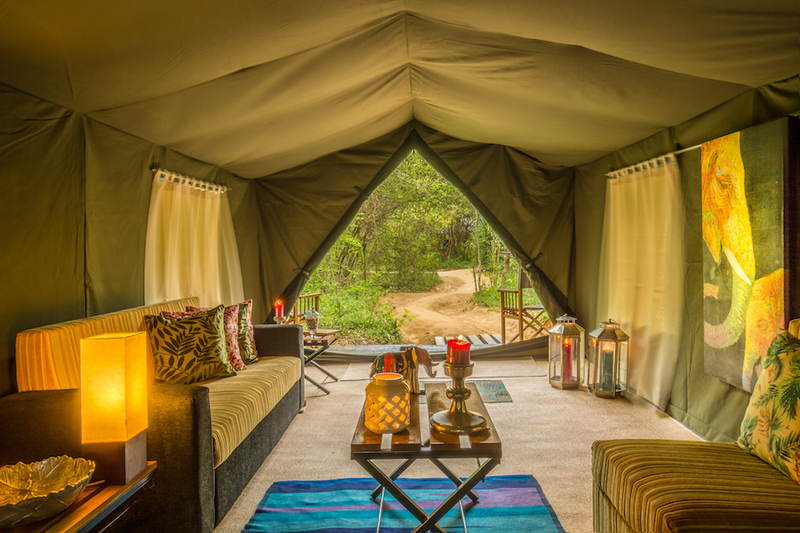 Your stay in a Mahoora Tented Safari Camp is completely carbon neutral. Children of all ages are welcome at Mahoora. We are happy to indulge our guests in experiencing a few features as value additions, entirely free. 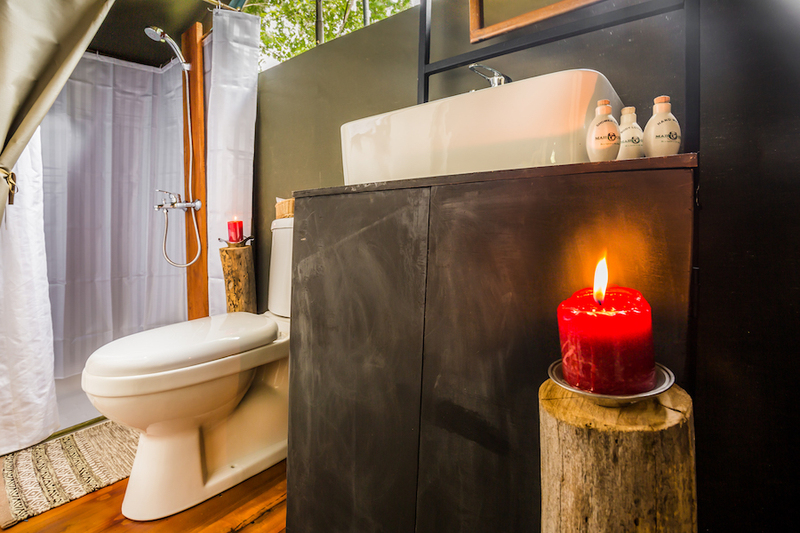 These options will help our guests learn more about nature and people, or bask in comfort and relaxation. The below mentioned options will be provided for guests who stay with us for 2 nights or more. A spacious tented (32’x10.8’) accommodation with bedroom, living area, an en-suite bathroom, and a cosy veranda outside the tent. 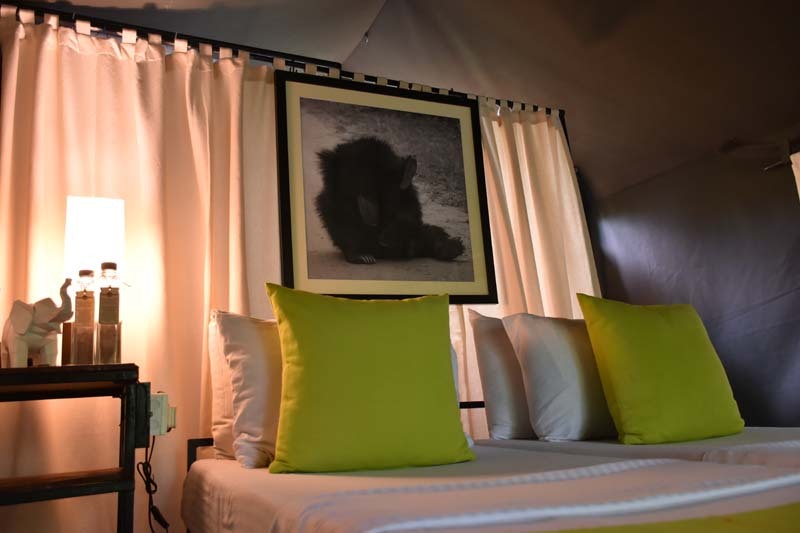 Tented accommodation with raised double beds with freshly laundered bed linens and a bedside table along with basic amenities. A mosquito net for the raised bed. The living area includes a comfortable couch, a coffee table, easy chairs, with enough lighting. Two fans are provided. One in the bedroom and the other in the living room. A baggage rack is provided. Clothes hangers and a cloth rack is provided. A small veranda just outside the living area is equipped with a shoe rack and 2 folding arm chairs to relax and enjoy nature. Each tent is provided with 2 exclusive hammocks just outside the tent. A fully-carpeted, sealed tent with ventilation nets. Electricity is provided round the clock for both Elite and Premium options. A wash basin is provided along with a mirror. 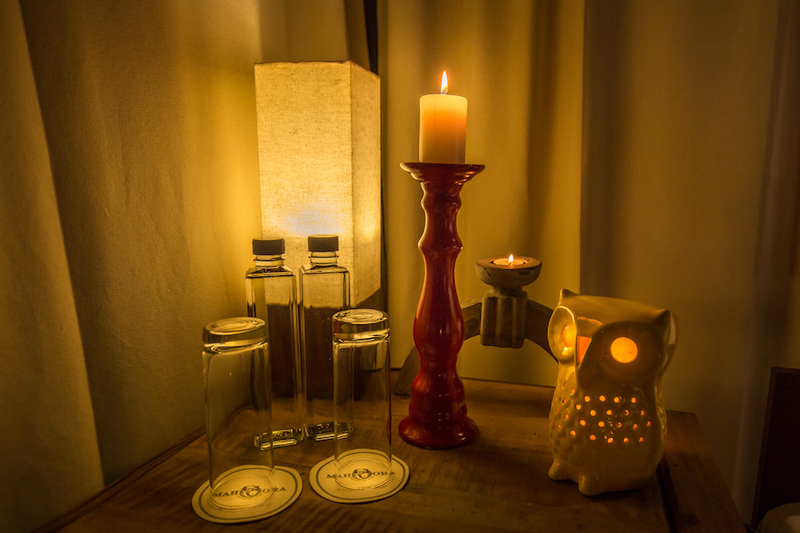 Mahoora personalized toiletries are provided on a complimentary basis. All entry permits, park fees, and Government taxes for the entire stay are included. An exclusive Jeep with front-faced comfortable elevated seats is provided for maximized game viewing and photography opportunities. An experienced naturalist is exclusively provided for each booking. You are not sharing either the Jeep or the naturalist. Complimentary picnic basket for the Safari with chilled beverages and snacks for the safari break will be provided. 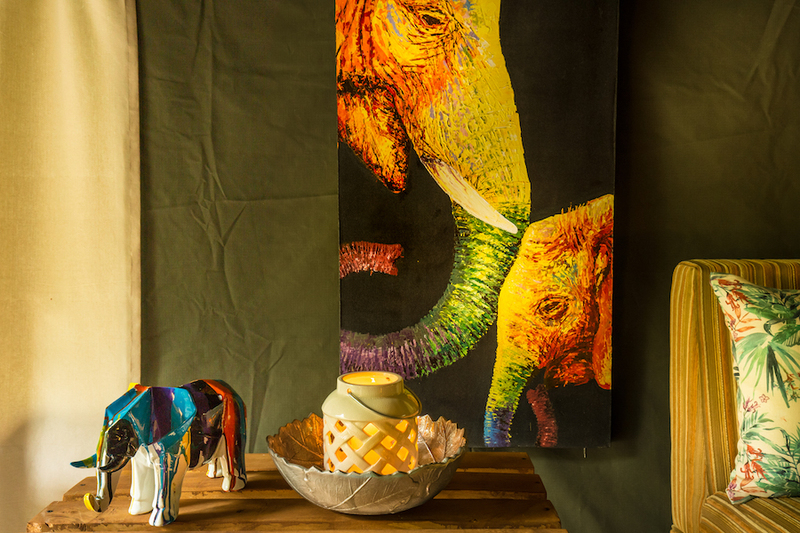 Two game drives per each night stay will be provided. Full-day safari option will be provided for guests staying more than a night. For pre-requested wildlife photographers, we provide monopods, bean bags etc. during the safari. Unlimited water will be provided. Unlimited local alcoholic beverages (beer, arrack, gin, and brandy) and imported wine will be provided throughout the day. Seven course dinner menu with signature dishes including a BBQ around the campfire. For breakfast, continental and Sri Lankan dishes including fresh juices are available. Freshly prepared Sri Lankan lunch. Unlimited tea/coffee, fresh fruits, snacks, juices, soft drinks, and water will be provided. Attire of earthly coloured garments are recommended during the safari. Please carry sunscreen, insect repellent creams etc. Sri Lanka’s weather is affected by many factors like depressions in the Indian Ocean. The weather can change suddenly. We maintain our campsites, mostly bordering the parks, as mini nature reserves with minimum disturbances. Special dinner settings in the camp are arranged. Each meal will be given at a carefully selected location with a unique illuminated setting. A tent (16’x10.8’) with accommodation, an en-suite bathroom, and a private veranda/porch. Tented accommodation with 2 raised single beds put together including freshly laundered bed linens and a bedside table along with basic amenities. 1 fan is provided in the bedroom. The veranda/porch includes a coffee table equipped with a shoe rack and two foldable arm chairs. En-suite flushable toilet with pipe-borne hot and cold water shower. A shared Jeep with front-faced comfortable elevated seats is provided for maximized game viewing and photography opportunities. A naturalist is provided for each jeep. Pre-dinner drinks around the campfire and wine (by the glass) during dinner. Five course dinner menu with signature dishes including a BBQ around the campfire.